In 1969 the Royal Canadian Mounted Police gave Queen Elizabeth II a Saskatchewan born black mare named Burmese, which she rode for The Trooping of Colour in 18 consecutive birthday parades. 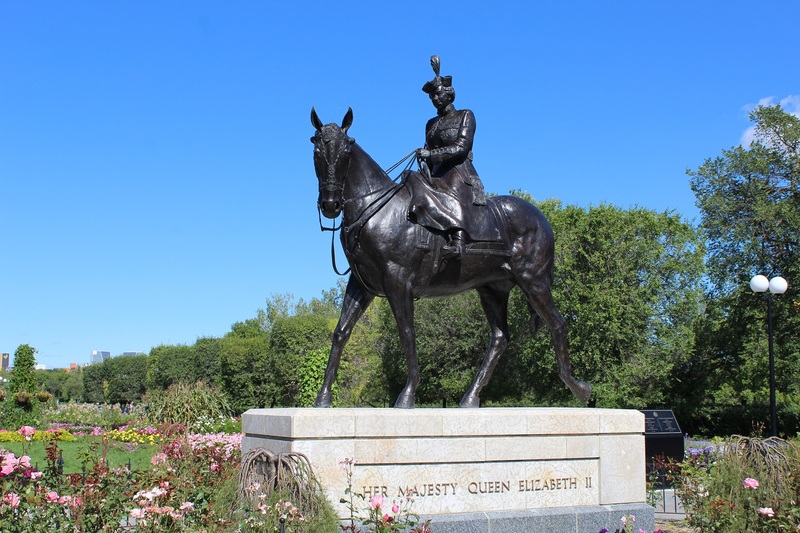 During a visit to Saskatchewan in 2005, the Queen unveiled a bronze statue of herself riding Burmese sculpted by Saskatchewan artist Susan Velder. The statue can be found in the Queen Elizabeth II Gardens, north of the Legislative Buildings.